NASCAR announced Wednesday the 2013 class of inductees into the NASCAR Hall of Fame. 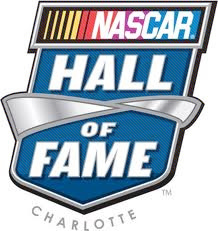 The five-person class, which will be officially inducted in a ceremony on Friday, Feb. 8, 2013, at the NASCAR Hall of Fame in Charlotte, N.C., consists of Buck Baker, Cotton Owens, Herb Thomas, Rusty Wallace and Leonard Wood. Members of the 54-member NASCAR Hall of Fame voting panel met in a closed session in Charlotte to vote on the induction class of 2013. The announcement was made by NASCAR chairman and CEO Brian France in the NASCAR Hall of Fame's "Great Hall." The newest Hall of Fame class includes three gentlemen known for their skills on the track, one of the sport's most successful owners and a crew chief who changed the game. Next year's class was determined by votes cast by the Voting Panel, which included representatives from NASCAR, the NASCAR Hall of Fame, track owners from major facilities and historic short tracks, media members, manufacturer representatives, retired competitors (drivers, owners, crew chiefs), recognized industry leaders and a nationwide fan vote conducted through NASCAR.COM. The accounting firm of Ernst & Young presided over the tabulation of the votes. Voting for this year's class was as evenly distributed as any previous NASCAR Hall of Fame induction class. Herb Thomas and Leonard Wood each garnered 57 percent of the vote, followed by Rusty Wallace (52 percent), Cotton Owens (50 percent) and Buck Baker (39 percent). For the first time in Voting Day history, there was a tie for the fifth and final induction spot. Voting panel members chose Baker over Fireball Roberts after a re-vote between the two nominees.